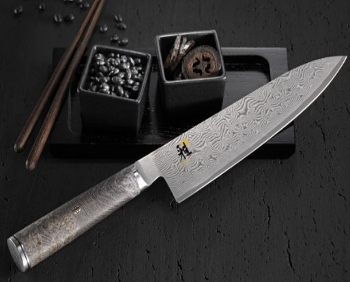 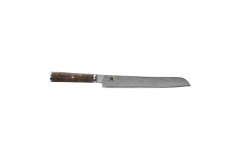 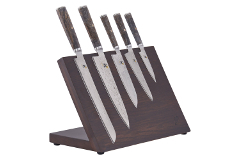 The MIYABI Black Series boasts blades of ultra-premium steel for unsurpassed sharpness. 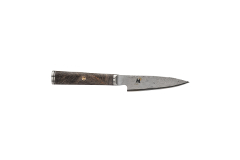 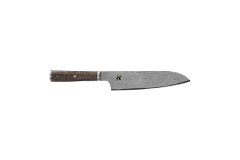 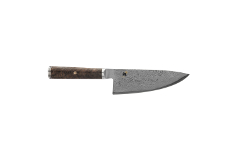 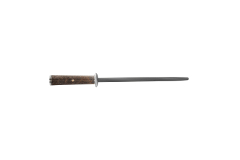 Thanks to a potent micro-carbide MC66 steel core protected by 132 layers, MIYABI Black knives offer scalpel-like precision, impressive cutting-edge retention, and corrosion resistance. The long-lasting sharpness of the CRYODUR® blades are locked in by MIYABI's innovative, ice-hardening process and the time-honored technique of Honbazuke hand honing. It takes two and a half months to create MIYABI Black knives, which are finished by highly- skilled craftsmen in Seki, the knife-making capital of Japan. 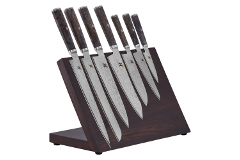 Experience the beauty of sharpness with each cut.